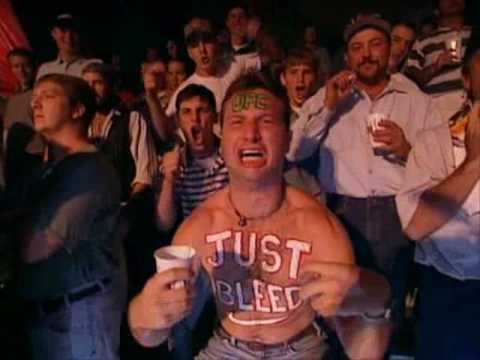 2017 ending with non stop MMA events. There is at least one event every weekend untill the end of the year. 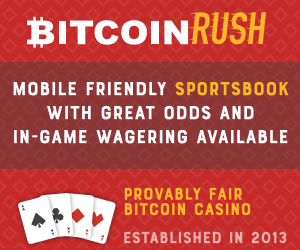 In honor of the pure art form Mixed Martial Arts BitcoinRush.io is running a parlay promo until the end of the year. Place an 8 leg parlay and get a free bet. You can place one parlay per week. Basicly a risk free parlay. Let´s take a closer look at some of the rules. All you need to do is place an 8 leg parlay with any MMA fight for 10 mbtc (0.01 btc) or 5 mbtc (0.005 btc) and get a 10 mbtc / 5 mbtc free bet regardless if you win or lose. All you need to do is share your bet slip on twitter @casinobitcoin with hashtag #ufcparlay and you will be awarded a free bet! Limit one parlay per player per week. – Place a 10 mbtc 8 leg mma parlay get 10 mbtc free bet, place 5 mbtc parlay get 5 mbtc free bet. All other amounts are rounded down. For example, 6 mbtc parlay get 5 mbtc free bet and 11 mbtc parlay gets 10 mbtc free bet. – Players found to be trying to game the system will be disqualified from future promos.